Found one file extension association related to AlpineQuest GPS Hiking and 1 file format developed specifically for use with AlpineQuest GPS Hiking. 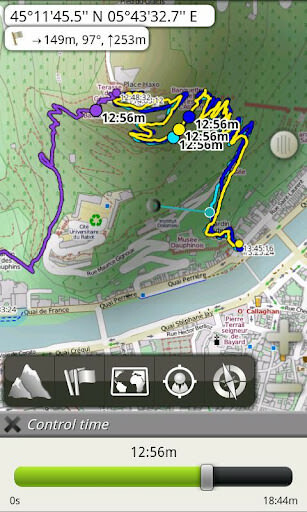 AlpineQuest GPS Hiking is the complete solution for all outdoor activities and sports, including hiking, running, trailing, hunting, sailing, geocaching and much more. You can access and store locally a large range of on-line topographic maps, which will remain available even while being out of cell coverage. AlpineQuest also supports on-board file based maps, like MemoryMap maps. Save and retrieve landmarks, share them with your friends. Track your path, get advanced statistics and interactive graphics. You won't have anymore question about what you can accomplish. If you need more information please contact the developers of AlpineQuest GPS Hiking (Psyberia), or check out their product website.